The Obama administration’s Spring 2015 “Unified Agenda”–published May 22–shows that the Department of Justice (DOJ) and the Bureau of Alcohol, Tobacco, Firearms, and Explosives (ATF) are pushing a number of new gun control rules for implementation by executive fiat. Breitbart News previously reported that these rules will further limit the number of people who can legally buy or possess a gun and will heave even more record-keeping requirements/reporting duties onto the backs of Federal Firearm License (FFL) holders. 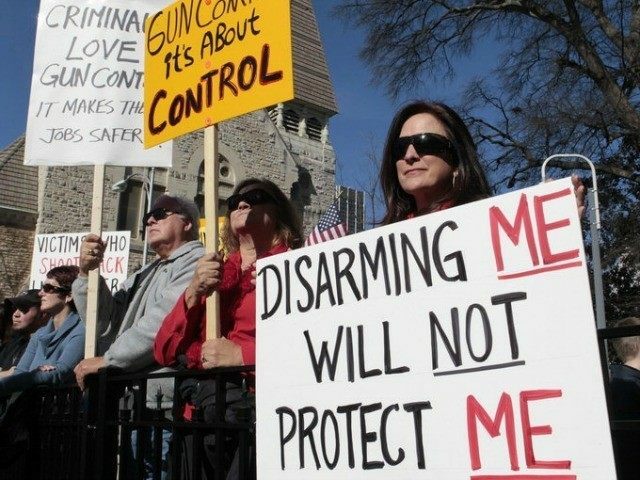 The Unified Agenda–which ubiquitously “provides federal agencies with the most systematic, government-wide method to alert the public about their upcoming proposed rules”–is chock-full of new rules that will impact the right to keep and bear arms. But these regulations are buried in a mass of other rules, and are therefore easy to miss without spending time going line by line. How many rules are we talking about? Roughly 2,300 across the board–meaning across every federal agency. This is slightly better than the Fall 2014 Unified Agenda–in which the Competitive Enterprise Institute found approximately 3,400 rules–but it still contains too many rules to be compatible with freedom. To be clear, there aren’t 2,300 new gun control proposals. Rather, the gun proposals are simply tucked in between the thousands of others. Rule–RIN: 1140 AA41–impacts FFLs by creating new reporting requirements for lost or stolen guns as well as new reporting requirements for lost or stolen guns that have been recovered. Lastly, rule–RIN: 1140-AA43–impacts trusts that hold firearms regulated under the National Firearms Act. The rule requires trusts, corporations or legal entities possessing the guns to produce a “responsible person” who can undergo a background for guns in probate, before they are passed to a descendant. This person would “complete a specified form” and “submit photographs and fingerprints” simply to hold the guns while the estate is settled. The DOJ throws a bone to trusts by allowing the transfer to descendant to occur thereafter on a “tax-exempt status,” but that all happens after the government has been able to extend the paper trail for firearms transactions and owners just a bit further. There are other firearm-related rules, but these provide of taste of what the DOJ is doing.